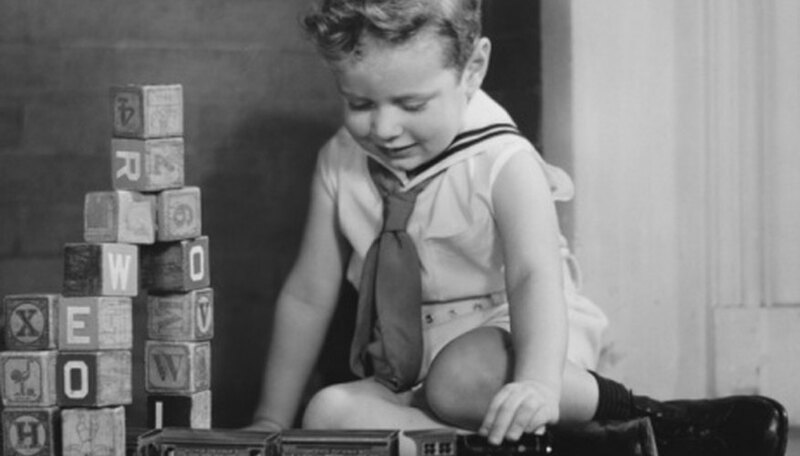 Although Louis Marx founded his toy empire in 1919, it was not until 25 years later that he began manufacturing the model trains that would make him an iconic figure among American toy manufacturers. 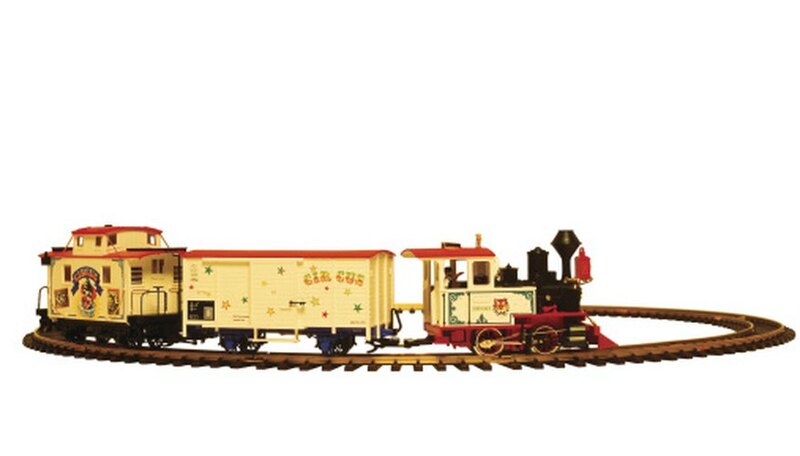 In 1934, Marx purchased the Girard Model Works, which first produced the popular Joy Line series of toy trains. Marx introduced his trademark line of electric and clockwork tinplate trains in 1935. Confirm that Marx is the manufacturer. Look for the Marx logo on the underside of one of the train's cars. The Marx logo is a smaller circle within a larger circle. The smaller inner circle resembles a railroad crossing sign covered by a large "X" and the letters “MAR”. Collectors sometimes see this mark and identify the toy company as Mar, not realizing that the “X” is also part of the name. Identify whether the train is made of plated tin or plastic. Although Marx began producing plastic trains in the 1950s, the company did not completely convert its product line to plastic until the 1960s. Likewise, design and construction are key to identification. The earliest Joy Line Marx trains looked more toy-like. By 1938, Marx trains had begun to resemble model trains produced by upscale companies such as Lionel. Marx began production of its ink-lithographed, tin train with 6-inch cars in 1935 and continued to manufacture this model for decades with few variations in basic construction. Identify whether the train has a particular theme or design. If the train has a theme linking it to space exploration, such as the Cape Canaveral Train Set, then it was made during the 1960s. Train sets with television-show themes date from the late 1950s and early 1960s. Marx also produced special-edition train sets, such as the series of diesel trains made for Sears throughout the 1960s. Collectors today prize these special-edition sets. Arm yourself with knowledge by seeking out experts. Specialty websites and reference books feature photographs illustrating the components of Marx trains. Examining even small parts, such as tongue-and-groove couplers (a style of train-car connector made by Marx starting in 1938), can help date a train. Photographs can be of immense help in identifying variations in construction and design. Don't assume that a vintage toy train was made by Marx. Always look for the Marx logo on the underside of one of the train's cars to make sure it is a genuine Marx product. 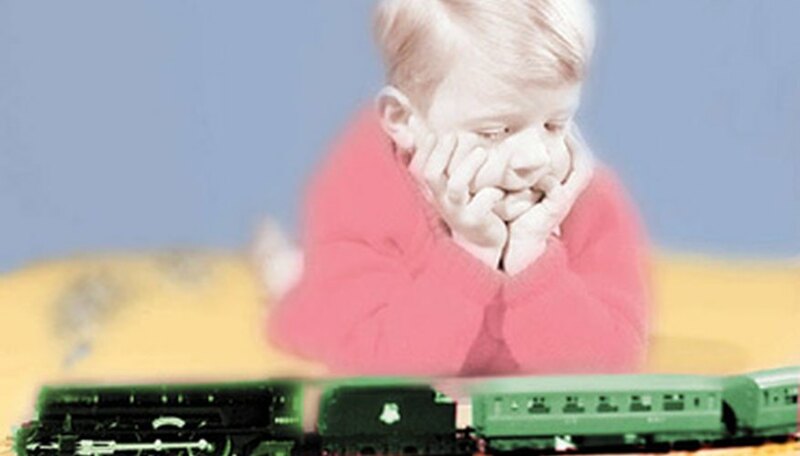 Be aware that reissues of Marx trains are on the market. Some of these will be marked "Marx Toys and Entertainment Corp." Newer reissues, while fun to own, will not command the prices of authentic vintage models. Keely Brown has been a feature writer, arts critic, columnist and business writer since 1998. She has written for publications such as the "Atlanta Journal-Constitution," "Creative Loafing" and "Boulder County Business Report." Brown won a Colorado Press Association Award for journalism and a Best of Atlanta award for her radio program. She has been profiled on CNN and National Public Radio. How Much Is a Gibson Hummingbird Guitar Worth?